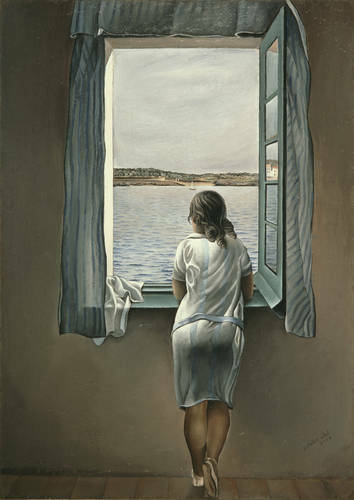 You wouldn’t have guessed this was by Dali, right? Todd and I spent two semesters in Madrid, and during the second our apartment was just up the street from the Reina Sofia museum, where I fell in love with this painting. What’s she thinking about, maybe longing for? This entry was posted in Uncategorized and tagged Salvador Dali. Bookmark the permalink.